Over the last 30 years, a variety of different directors, producers, editors and close friends of Orson Welles have been piecing together what was meant to be Orson Welles comeback to Hollywood after exiling himself to Europe for over 20 years. From the initial idea for the film dating back to 1961, Welles was never able to finish the picture before his death in 1985. Now, Netflix has brought it to the public this past weekend after it’s world premier at the Venice Film Festival in August. The editing and production over this film was overseen by famed director Peter Bogdanovich who also starred in the film. The Other Side of the Wind is the name of the film being shot within the film we’re watching. It’s a meta-mockumentary following the mysterious director Mr. Hannaford, played by John Huston, who at time can be seen as a reflection of Welles himself. The film’s aesthetic and editing style is just as mysterious as the story and it’s evident that aesthetically this film plays out as a satire for the arthouse and new wave directors who took over Hollywood from the late 60’s through the 70’s. Little cameos from the likes of Dennis Hopper and Claude Chabrol attest to this theory. Other nods to Neo-Realist and New-Wave greats like Antonioni and Godard are thrown in the mix by Bogdanovich as well to highlight the admiration and influence of European cinema in Hollywood at the time. The film centers on John Huston’s character, Mr. Hannaford, this idiosyncratically macho man on the exterior. However, a part of him reveals that beneath his rough, machismo exterior, he still has an underlying attraction to the leading men of his pictures as well. Orson Welles was first inspired by the idea of a macho bull-fighter who becomes obsessed with a young bull-fighter after Ernest Hemingway’s suicide. This was the beginning to what would be The Other Side of the Wind. Beyond Hannaford being a sort of pseudo-Hemingway, there are also a few parallels between Mr. Hannaford and Orson Welles. For one, Mr. Hannaford, like Welles, is returning back to Hollywood after being shunned by the studio system and self-exiling himself to Europe. Welles also felt incredibly guilty for the death of his father from drinking, while in the film, Hannaford inevitably drinks himself to oblivion after we learn that his father died of a suicide long before. Like father like son? 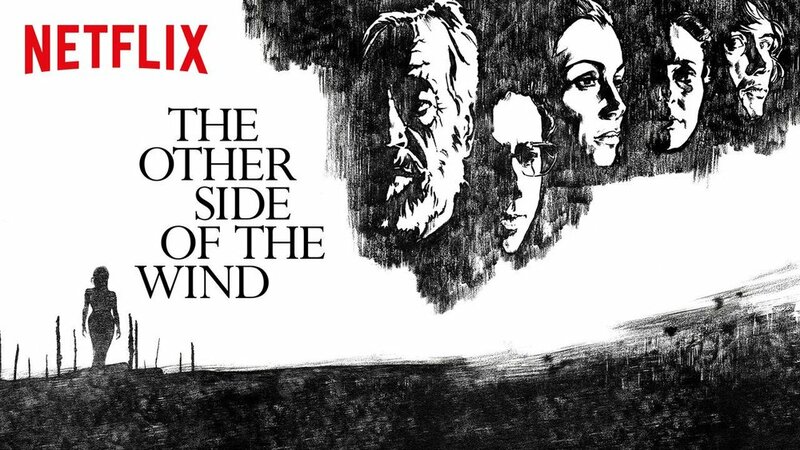 Even though we got it over 40 years later, the impact of The Other Side of the Wind holds strong and acts as a time capsule for an era of a time gone by. We also get to see Orson Welles experiment and play with influence that directors he first influenced brought to the mainstream. The Other Side of the Wind deserves to stand alongside Fellini’s 8 1/2 and Truffaut’s Day for Night for some of the most notable film-within-a-film expressions by auteurs. I’m honestly really proud of what Netflix did with this film. They gave the general public a great piece of cinema history that I think is a perfect jumping off point for anyone interested in diving deeper into film history. Next up, Truffaut, Godard, and Antonioni!